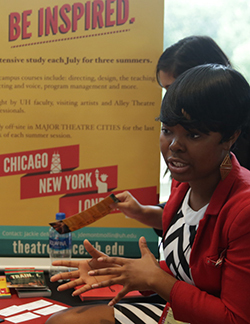 The Educational Theatre Association is the leading association for theatre educators. We can connect you to thousands of theatre educators and professionals. Through our student honorary organization, the International Thespian Society, we can put you in touch with more than 200,000 high school and middle school students. Whether through meeting our members in person at one of our national events, reaching them with specific messaging through one of our many advertising channels, or promoting brand recognition and appreciation through a sponsorship, EdTA wants to connect you with our members! For more detailed information, please visit our Media Kit. 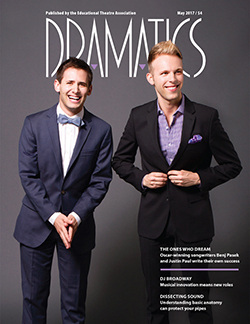 Dramatics is the only magazine edited exclusively for students of theatre. The more than 50,000 students who read each issue are committed to excellence, evidenced by attaining membership in the International Thespian Society, a theatre honorary organization. Dramatics offers a high-quality editorial environment to advertisers who want to reach this accomplished group of prospective graduates. For more information about advertising, please contact Ali Winters at awinters@schooltheatre.org. 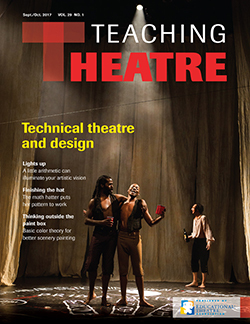 Teaching Theatre is the journal published by the Educational Theatre Association for more than 5,000 middle and high school theatre educators, arts education outreach directors, and administrators. Every issue provides advertisers with direct exposure to a niche market of involved consumers and offers a cost-effective way to reach a specialized group of theatre professionals who are interested in your message and product. 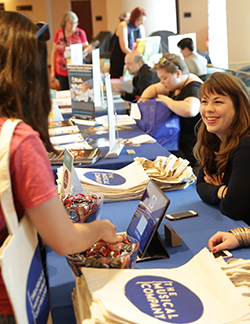 EdTA offers several opportunities throughout the year to exhibit at events, affording personal interaction with highly engaged theatre students, educators, and teaching artists. The International Thespian Festival is a week-long immersion in theatre arts attended by more than 4,200 high-achieving middle and high school drama students and their teachers. The EdTA National Conference attracts approximately 400 theatre educators from across the country for state-of-the-art presentations by national thought leaders, workshops, and professional development intensives. The EdTA Leadership Summit brings together the 150 decision-makers for the organization from the state and national levels for three days of strategic planning, briefings, and workshops focused on organizational best practices. For more information about exhibiting, please contact Angel Wuellner at awuellner@schooltheatre.org. EdTA offers our college and business partners the opportunity to be part of a robust event sponsorship program, demonstrating their commitment to EdTA and the International Thespian Society through a partnership with EdTA. EdTA works closely with these institutions to provide maximum exposure to our members and promotional opportunities for our sponsors. For more information about sponsorships please contact Angel Wuellner at awuellner@schooltheatre.org. EdTA offers an opportunity to advertise on the organization’s website and member e-newsletter. 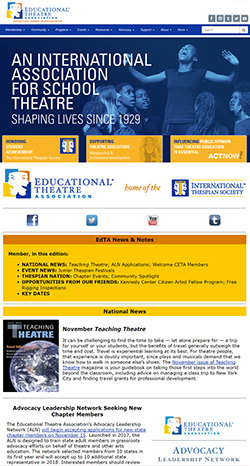 Schooltheatre.org is the comprehensive website for the membership of EdTA and also provides information and resources for the larger theatre education community. It averages about 18,000 users and 163,000 page views per month. The News & Notes e-newsletter is distributed to approximately 5,400 adult members of EdTA on the 5th and 20th every month. Since its inception in 2015, the open rate has been steadily growing and is now averaging over 22%. The click-through rate is currently at 2.25%. And, most recently, the opt-out rate is zero. The contents include a variety of updates about association and related programs relevant to members’ roles as theatre teachers, teaching artists, and leading industry professionals. EdTA offers advertising in the 8.5 x 11, four-color program books that serve as the go-to resources during and after major annual events. 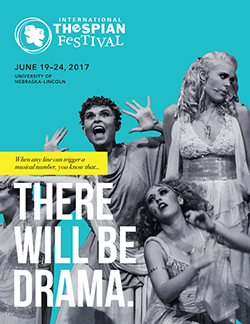 The International Thespian Festival Program is a souvenir for many participants with detailed listings of participating schools and shows as well as descriptions of every workshop and its presenter. 7,500 copies are printed. The EdTA National Conference Program has detailed lists of every workshop and its presenter as well as material about the Conference’s theme issue. 1,000 copies are printed. Contact Angel Wuellner for any additional Marketing Opportunities information.